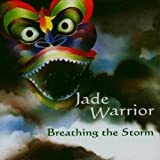 - But coming back to "Breathing the Storm", featuring Jon Field along with other two musicians, it is not an unmistakable work, above all if you consider the tepid music construction of the keyboards backing. It's a sort of more complex new-age composition, the music being as defined as the old albums, yet being less versatile and with a few spare styles, unlike their best prog efforts!! Besides the music is less creative in comparison to albums such as "Floating World". Nevertheless, despite of such defects, their music starts recapturing the spirit of the period concerning the famous label Island: it's a relaxed approach, however any insightful fan can understand the new spirit and mood as well, concerning this totally different line-up. Their new goal in fact is the attempt of reaching the catharsis of their several previous musical ideas, driven in a unique compact body. Well actually their old achievement, a successful combination of rock, classical music and "wrapping" Japanese melodic lines, by means also of an oriental atmosphere plus some exotic percussions and a gentle flute as well, was very appreciated by their fans,but remaining anyway confined within a marginal and isolated prog scene. For this reason the old albums did not deserve the attention to be awarded and regarded as the most famous bands of the 70's prog scene. The present album and also the following ones naturally are conditioned by such pieces of evidence. Recommended, even though not essential !! lack of creativity aside, this cd is beautiful. Granted it doesn't take as many chances as the 70s releases or touch as many genres (I recall blues rock, space rock, ethnic, new age being amoung the many genres they explored in the early 70s albums) , but for what its worth..a new age album, it is a great cd for spacing out and tops any other album in the new age genre as it is far more complex with well timed guitar passages and surreal easy going keyboards setting the over all tone. Yes only its only Jon as i Know have found out after listening to this album, but he is surrounded by good musicians. 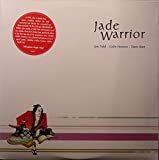 Post a review of JADE WARRIOR "Breathing The Storm"